man this place has died down ay? Yea lots of folks use Facebook now. I do not. I can say that I see 3-5 Cherokees weekly in the Conroe area and in fact kinda raced one the other day. Nice to see folks still building them out as he did. I was driving mine back and forth to work from the town of Montgomery to downtown Houston, sky scraper downtown, every day but the gas was killing me. ahhh that damn fb! i'm just getting mine up and running again, after replacing the heater box / ac condenser in the dash, adding a few mods, and putting in 3fan electrical cooling. hopefully will have her running again in tip top shape. I think I might have met you before at one of the meet ups we had @ sonic! I got my first cherokee a few weeks back. a 96 with a 97 front clip on it. it's no beauty queen, but i'm having fun with it. in the middle of doing a 4" lift. long shot.. but saw a lifted blue 4dr this morning right outside my neighborhood. had a gutter mounted roof rack with 4 lights up top. would be sweet if he/she was in here! Just north of Houston. 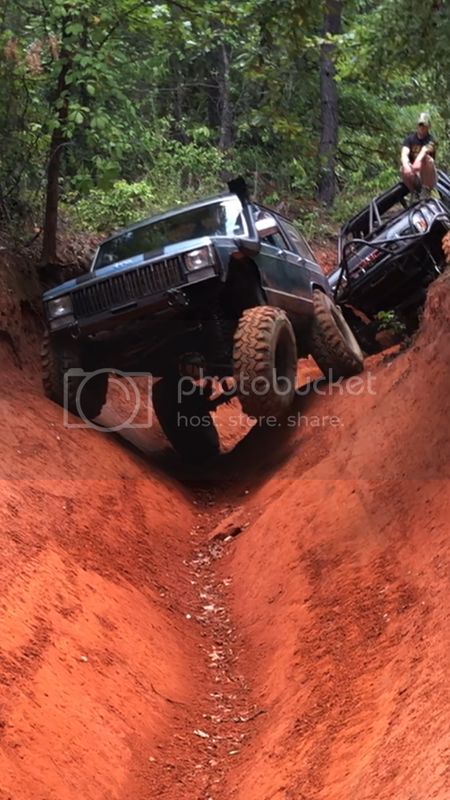 Always looking for a group to go wheeling with! New to the XJ world, and I want your opinion!